The Yonex VCORE Tour G 97 tennis racket is designed for aggressive players who hit hard and want great control and spin. The 97in2 (626cm2) head features Isometric technology which increases the size of the sweet spot, making it more efficient and powerful and improving control. A number of technologies combine to enhance stability in the frame for more spin better control over shots, including Micro Core and 3D Vector Shaft. The head light racquet is manoeuvrable and offers good control, with an open 16x20 string pattern that encourages spin play, along with the CS Carbon Nanotube technology that generates more bite off the strings. The strong 310g (10.9oz) racket is supplied with a drawstring bag. 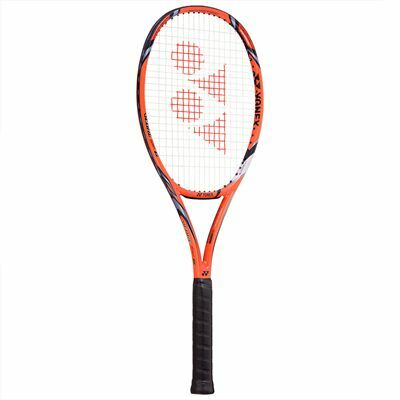 for submitting product review about Yonex VCORE Tour G 97 Tennis Racket.